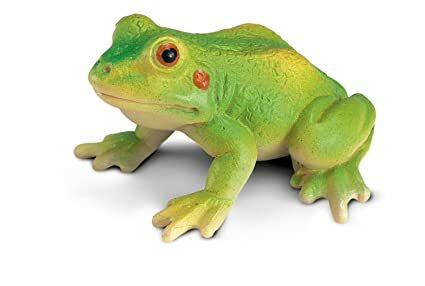 My thoughts on “The Celebrated Jumping Frog of Calaveras County” were very scattered. When I finished reading the story the night before class I thought to myself this is pretty good, and thought it was kind of funny. Once I got to school the next day and we were discussing it in class I realized I completely misunderstood the entire story and took it way to literal. After I realized what Mark Twain’s point was I thought it was good it just took me a while to fully get there. I liked the satire that was used in it and thought it was quite comical how the story ended. I am a little bit nervous to start Huck Finn because now that I know how Mark Twain writes, I am not sure if I am going to understand it right away. I am glad that we read this short story first because it should make me as the reader more aware of what to expect and what to look for in regard to satire. I should have less trouble understanding it and get what Twain is trying to say to the reader through this book. I honestly have no expectations for what it is supposed to be about because I do not know anything about this book, except to expect a lot of satire. I think that it will be a good book as long as you can follow what he trying to say and what is going on throughout the book. After watching Imom I am so disturbed. As the movie was going on I had a feeling that the Imom was going to cook the baby and not the chicken, but when she did it was so awful. There were so many things that happened throughout the film that made it so creepy and weird. I personally think that the way the Imom acted was so creepy yet so close to reality that it made it even worse as a viewer. I think it made it scary because our society could get to a point where we depend on a robot like that to take care of different things around the house or with their children. Overall I think that it was very disturbing and something that should never happen. I do not have much experience with satire, but I do with humor. Satire is something that I have been exposed too for as long as I can remember, but I was never actually told the true definition of what it was called or meant. I just looked at it as something that was mocking or making fun of something that most people knew about. There are many types of humor. One is the giggles. This is definitely one that many people my age and that I’m around have. Laughing uncontrollably at things that are not that funny seems to be something most teenagers have in common. Another example is healing humor, which is when you are laughing with someone and not at them. This is not something that occurs frequently, but it does happen sometimes. The one that I like the most is self-deprecating humor. It is when someone is constantly making jokes about themselves and makes other people laugh. I personally like this one the best because I think it ends up being the funniest because if you are able to laugh at yourself and make others laugh while doing it, it is so much better. My type of humor is hardly even a thing. I really am not that funny, I end up trying to say something funny that I just laugh at. I personally do not know much about Mark Twain. I know that he is known for his book Huck Fin but besides that, I do not know much about how he writes. Based on what I looked up Twain uses satire a lot in his writing and is known for his writing style to be known as realism. I think that using this style of writing makes the books he wrote much more interesting. 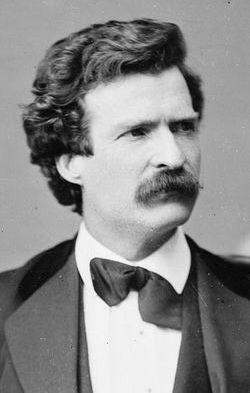 Mark Twain’s real name is Samuel Langhorne Clemens. He also wrote an autobiography that he published while he was still alive. He then wrote another autobiography that he had made sure someone published it 100 years after his death. He did this so that he could write whatever he wanted and include names of people that he does not care for in it. The fact that Twain did this is not surprising considering that he was known for satire. 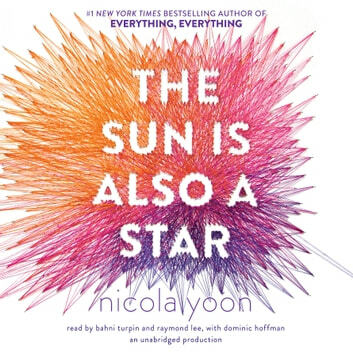 This quarter I chose to read the book The Sun Is Also The Star by Nicole Yoon. Before I decided what book I was going to read, I knew that I wanted to read a romance. When I found this book and realized that it was a romantic I decided right away that this was going to be the book I would read. As I started to read it, I was slightly confused about why it was considered a romantic. The book is filled with different sections with different characters’ point of views. Right away I thought this seems like a bizarre way to have a romance novel organized, but I went along with it. As I continued to read the first couple section it introduced the two main characters from their perspectives. At this point in the novel, there was no romance, just two kids living their own lives and dealing with some serious life problems. It took a while for the author to introduce the romance side of this book, and for a while, I was concerned I had picked the wrong book. As I began to think about why she would do this, I realized that it was so that it made this book an even better romance novel. Nicole Yoon incorporated both characters points of views so that you could really understand what was going on between them and their lives. This was such a smart way of really ensuring that this was a romantic because you hear both people in the relationship and how they feel. Another example of how this book was considered a romance to me was certain things the author included at the beginning of the book. Before a relationship had started between the two main characters and they were just friends the author made sure to include subtle elements that made it clear to me about what was going to happen. The two main characters Daniel and Natasha were complete strangers before they briefly met at a record store. They then coincidentally ended up at the same stoplight and Daniel saved her from getting hit by a car. Daniel says, “She’s not paying enough attention to realize that a guy in a white BMW is about to run that red light. I yank her backward by her arm. Our feet tangle. We trip over each other and fall onto the sidewalk.”. As soon as I read this it had already fulfilled what a romance novel was supposed to do. It needed romance and this was just the beginning. Although many would say this was a cliche way to start a romance between two teenagers, it was necessary. You need an impressionable start to their relationship in order for the reader to realize the impact this one event is going to have on the rest of the book. Last but not least the ending of the book managed to make even more clear that this was a romance novel and it completely satisfied what I wanted and needed in a romantic. Although it is not the most typical happy ending it still manages to be a happy ending. The author leaves you thinking that Daniel and Natasha are never going to see each other again until they meet again ten years later on an airplane. Throughout the novel, the author included many things that make it as good of a romance as it is. Between the style of how she writes and the things, she incorporates in it. This book made me believe it was a romance novel just like it is listed as when you look it up. When Mr. McGarry first told us his reaction to the film, when he watched it in college, I was concerned about how much I would like it. To be honest I thought that it was going to be worse then it ended up being. When I first started watching I thought that it was a little dry, and was kind of bored. There was a lot of parts of it where you were just watching people wander and there was no action going on. Once it picked up and more action started occurring it was so much better. It was much more interesting then I thought it was going to be. I was not a fan of the ending, just because I wasn’t expecting it and it was a little harsh and sad. Overall I thought it was a good movie. I didn’t know notice when the effects of nausea and motion sickness were showing. I did not like how long it took to get to the point and I also think it would have been better if they gave you clues or used foreshadowing to show that the husband was planning to kill his wife. If I were to change it to a modern audience I would make it more clear that the women and her husband had lots of money. I would also do a better job of making it clear that Scotty has issues. For a large part of the movie, I thought that he had gotten over his issues of heights and the problems he had occurring with it. I think for a modern audience they should add more drama and conflict with the other girl that Scotty was acquainted with. I also think they should have been more clear on what happened to him after Madeline had died. He was in an institute I assume, but we were not sure what had happened. All of a sudden he was fine and had found the new girl, which I thought was weird. Overall I liked this movie and I think that it would be a really cool movie to remake for a more modern audience. My initial reaction to the work was good. When I first started reading and analyzing the work I realized that the first section was not that difficult to interpret. After we were given two sections to analyze as a group is when it all started to go downhill. As I read my two sections I realized that this was way more difficult then I had suspected. There were so many things that were hard to understand and it felt like he was writing in code. My initial thoughts of my sections were confused and, honestly, I still am. I think that our section was mainly talking about how there are people that are always going to talk and act like they are going to get things done but they don’t and they end up being the ones that judge the most. 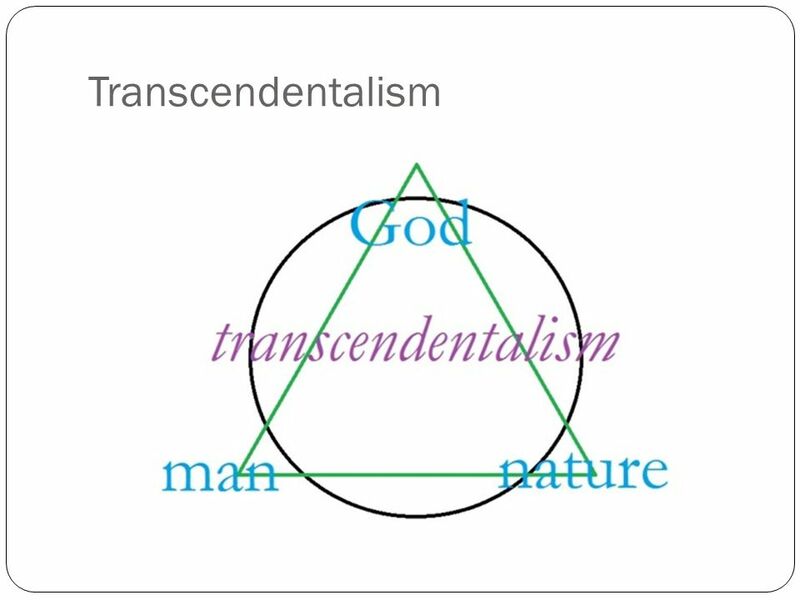 Whitman’s thoughts on transcendentalism throughout the work influence his writing. 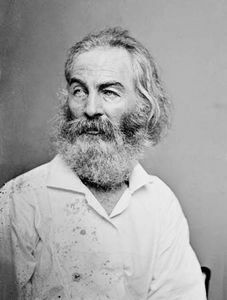 He looks at life as everyone is born good and you can tell that is true when you read his works. He mentions the goodness in people at the time of death and birth. I think the lines where they talk about the “talkers” is one of the most important lines in our work. 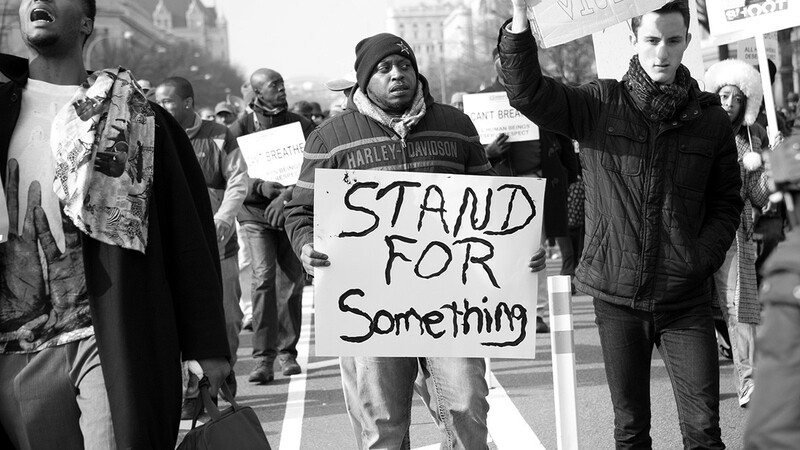 The idea of talkers is showing people you say they are going to take action but do not. This idea is one of the first lines of our section. I think it is important to the section because it has to do with the whole theme of the sections. It talks about how we need to continue to increase our members of society and look at life in so many ways. It also says how the world is filled with lots of mysteries that we continue to keep trying to understand better. There are still certain things that I do not understand completely. Some of the lines in the poem are difficult to completely understand. After I read the poem I think I have a pretty good understanding of what it all means, but honestly, there is a high chance that my understanding of the work is completely wrong. Overall, I didn’t mind reading and analyzing the work.